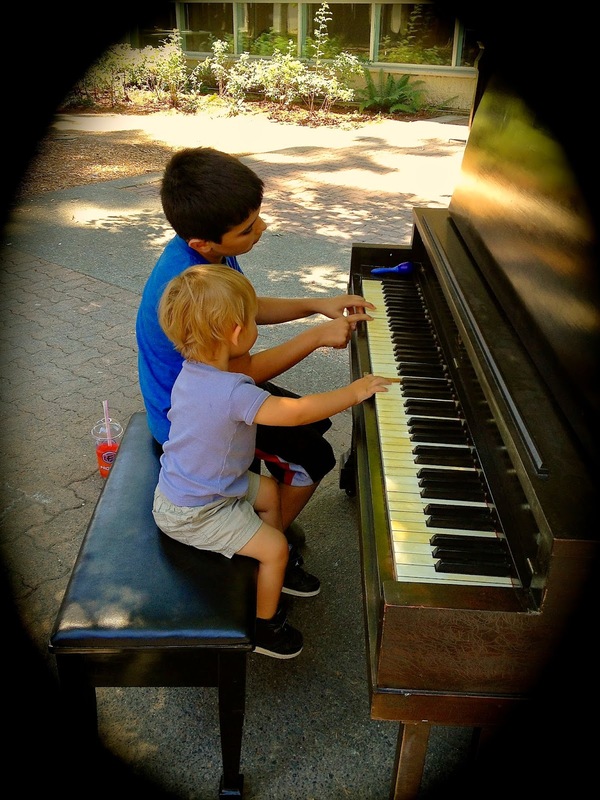 The Grove in Newton has a piano for everyone to enjoy. It will be in place until September 10. 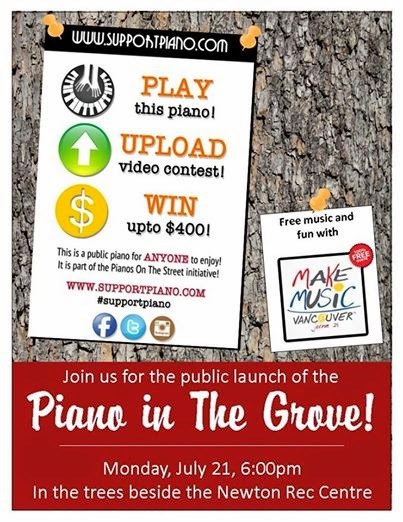 Tonight at 6 o’clock join Friends of The Grove, as we make beautiful music together with Make Music Vancouver and the Piano Teachers Federation. The piano has only been onsite for a few hours and already it’s a big hit. Just wait until you see it painted next week! 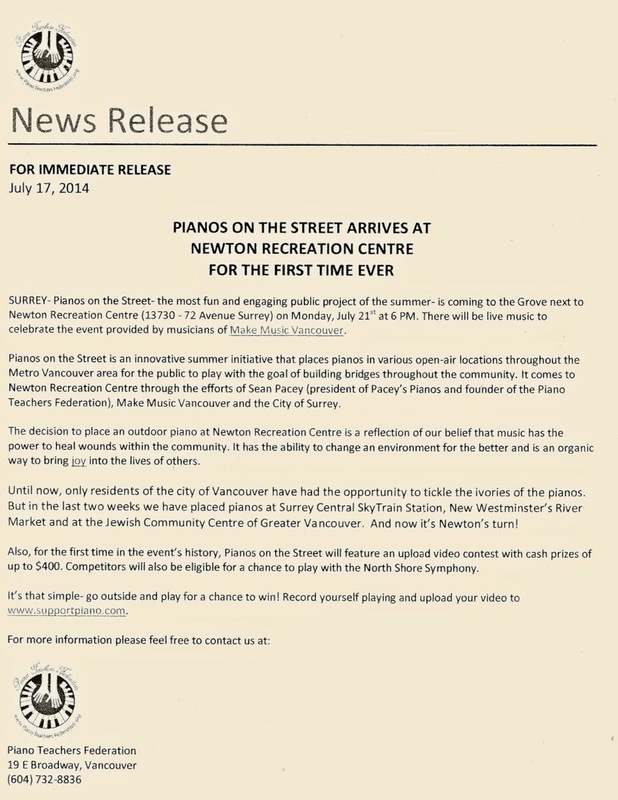 We hope everyone will take pride and ownership of the ”People’s Piano”. Update: Last night’s Launch Party was a resounding (pun intended) success! Will post full report later this week with some wonderful heartwarming photos. Thank you to those who came out to play and those who made up our audience. The event was originally planned for 6-7:30 but at 9 we were still making music. A very special evening in the heart of the city. Previous Post:What is my favourite part of Surrey? This!